Directions to Rumson Police Dept. 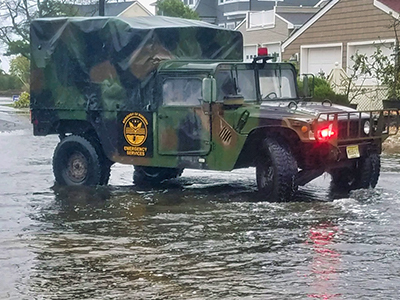 The mission of the Rumson Police Department is to protect and serve our community, to keep it safe, to prevent crime, and to build partnerships that enhance the quality of life in Rumson. When dialing 9-1-1 or (732) 842-0500 to report an emergency, please stay on the line until the dispatcher advises you to hang up. The dispatcher will need specific information on your emergency to dispatch the appropriate response team and equipment swiftly. Chief Scott Paterson's hours are weekdays from 8:00 AM to 4:00 PM and he may be reached at (732) 842-0500. Please feel free to call him during those hours. He is always happy to hear from our long time residents and to have the opportunity to get to know our new ones. Rumson Police Department has three certified Child Passenger Safety (CPS) technicians. This program is a national certification and is a program of Safe Kids Worldwide working hand in hand with the National Highway Traffic Safety Administration. Our CPS technicians keep up-to-date on the latest technical information and can help parents or caregivers with any of their child safety seat questions. If you are looking to have your child safety seat inspected or need some hands-on assistance, our CPS techs can help you with that process, too. Please call the Rumson Police Department at 732-842-0500 and set up an appointment with one of our trained Child Passenger Safety technicians. Residents may now AT ANY TIME dispose of their expired and unwanted medications at Rumson Police HQ (80 East River Road, Rumson N.J. 07760). The disposal box is located at the entrance to Police HQ. The depositor may dispose of medication either in its original container or by removing the medication from its container and disposing it directly in to the deposit box. If the original container is submitted, the depositor may remove their personal information from the container if they wish to do so. The Rumson Police Department has partnered with KidCents and The Rite Aid Foundation. This foundation is committed to supporting a safe environment for children in our communities by helping to reduce the misuse of medications by adolescents and accidental childhood poisonings. 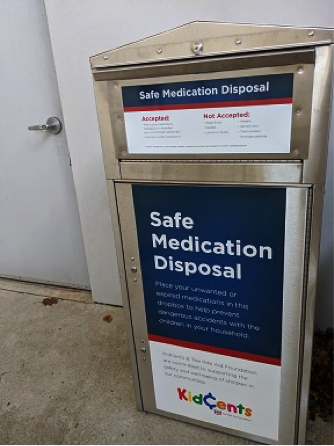 The Safe Medication Disposal Program advances that mission by providing local law enforcement agencies in Rite Aid service areas with medication disposal units to ensure that individuals can safely dispose of their unwanted medications in an environmentally-friendly manner, while keeping them out of the hands of kids and teens. To read more about KidCents and The Rite Aid Foundation please click the link below. Learn more about his program. Items Accepted: Prescription medications (Scheduled II-V controlled and non-controlled substances); over-the-counter medications. Items NOT Accepted: illegal drugs; syringes or sharps; lotion or liquids; inhalers or aerosol cans; thermometers; hydrogen peroxide. Our crime prevention officers will be happy to conduct home security surveys at the request of our residents. The survey will inform you of proper lighting in your home, proper type of locks, maintenance of alarm systems, and any area that may be vulnerable to certain crimes. Please contact the Rumson Police Department at (732) 842-0500, and ask to speak with a Crime Prevention Officer. All alarm systems must be registered with the Rumson Police Department. As per Rumson Ordinance 3-14.1, any person who desires to own, operate, lease or maintain an alarm system in the Borough of Rumson must file a registration application on the form provided by the Borough of Rumson Police Department. The application must contain the location of the alarm system, the installer's name and address; the type of device; information relating to false alarms and testing procedures; a list of the names, addresses and telephone numbers of persons to be contacted in the event of an alarm, at least one of whom shall have an address and phone number different than the registrant; and such other necessary information as may be required by the Police Department. It is the registrant's obligation to file a written amendment with the Police Department within ten (10) days indicating any changes contained in their existing registration application. Alarm application forms can be obtained at Rumson Police headquarters, or can be downloaded below. 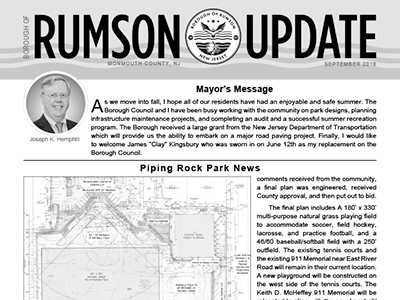 Please return the completed form to Rumson Police Headquarters at Borough Hall Lower Level Rear, 80 East River Road. This enables us to have the most current information regarding your alarm system and emergency contact information. Download the Alarm System Permit Application here. Code Red is the Rumson Emergency Telephone Contact System acquired by the Borough of Rumson in 2008. 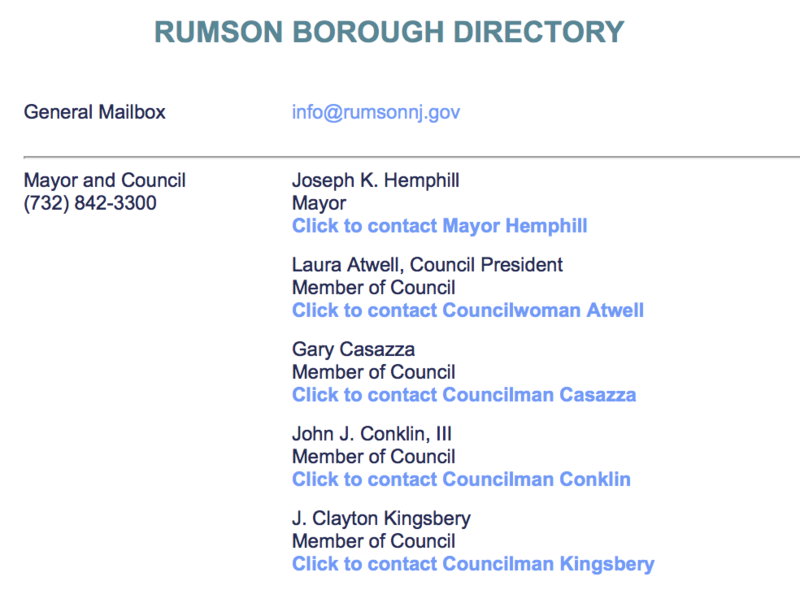 It replaces the previous Reverse 911 system which Rumson shared with other municipalities. The new system is much more responsive to our residents' needs. All residents whose phone numbers were in the old system have already been entered into the new Code Red database. 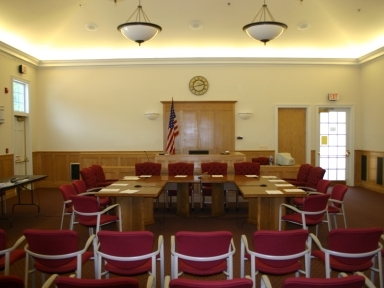 If you are not already in the system and would like to be contacted with emergency announcements, please come to the Rumson Police Headquarters at Borough Hall Lower Level Rear, 80 East River Road for an application, or use the Residential Update Link on the Code Red information page to enter your information directly into the database. 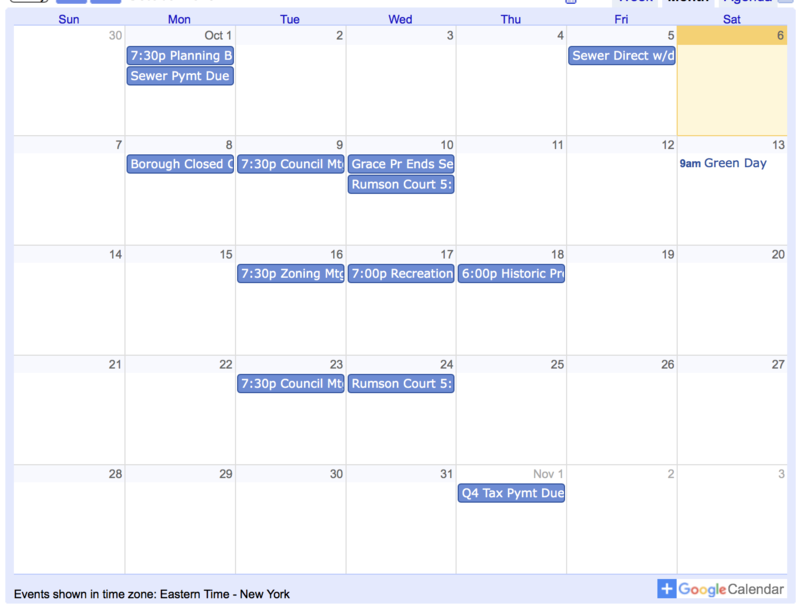 Past notifications have included flooding advisories, scheduled power outages, and traffic notifications. Nixle is a secure and certified communication platform for local police departments and municipalities to communicate important, neighborhood-level information to our residents using text messaging and email. It is similar to Twitter and Facebook but adds the security that is critical to ensure information received by users is trusted and accurate. 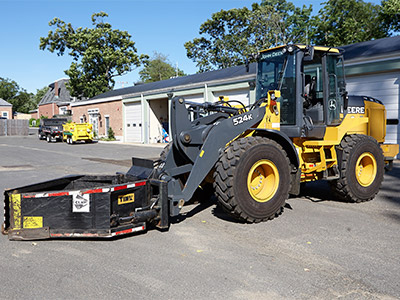 Rumson will only use this system to issue emergency alerts and advisories. Please click on the secure Residential Registration link, below. Nixle will ask you to supply your own information and preferences, and the cell phone numbers and email addresses you wish to be included in the Nixle network. Joining Nixle enhances our ability to reach you with essential emergency information. Thank you. You can read Rumson Police Nixle posts HERE. Always lock your doors and windows when your home is not occupied. Secure all valuables in a safety deposit box or keep those valuables safely hidden. Most often when a burglary occurs, there is no forcible entry. Also, remember to lock all vehicles in your driveway and remove anything that someone would be tempted to take. You can't be too careful. All residents are urged to notify the Police Department at (732) 842-0500 of any suspicious activity suspicious persons, or suspicious vehicles immediately. Don't wait! Your alertness can assist Police Officers in keeping your neighborhood a safe place to live and will prevent crimes from taking place. You should never give out personal information over the telephone or on the Internet. No information on family members, schools, workplace, or financial or credit card information should be revealed. It is also strongly recommended that parents monitor their children's (and teen's) computer activity. Numerous crimes against children begin through introductions on the Internet. Be alert and aware to protect yourselves and your family.